Not Giving Up | Mothers Against Wind Turbines Inc. 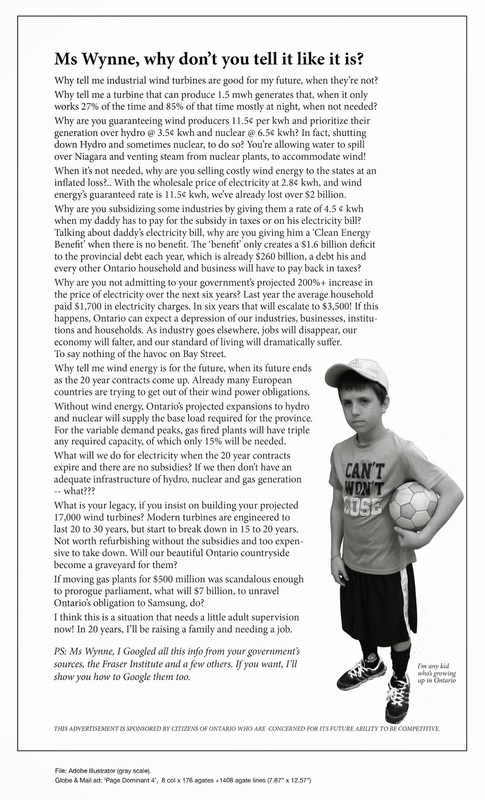 Adverse Health Effects, Contracts Cancelled, Environment, ERT Appeal, Ontario Wind, Unite the Fight! FINCH — An attempt by a group of residents from North Stormont to try to quash a wind power project from being constructed in the area ended in failure on Friday, after the Ontario Environmental Review Tribunal ruled they had failed to prove windmills would harm human health, local animal and plant life, or the environment. The Concerned Citizens of North Stormont had appealed a renewable energy approval the Ministry of the Environment had granted to allow the project, Nation Rise Wind Farm GP Ltd., to proceed. The process to arrive at a decision took many months. Weeks of hearings were held in Finch and Toronto, where the participants brought in dozens of experts to argue both sides about the potential impacts of the wind farm on people and the environment while being cross-examined by lawyers.